The We the People initiative is the Obama administration's effort to provide citizens with a new way to petition the administration to take action on a range of important issues facing the United States. If a petition garners 25,000 signatures within 30 days, White House staff reviews it, sends it to the appropriate policy experts, and issues an official response. Today ASCD is taking advantage of this initiative and petitioning the administration to make whole child education a national priority. We petition the Obama administration to establish a President's Council on the Whole Child to help students be healthy, safe, engaged, supported, and challenged, and we urge you to add your voice in support of this holistic and child-centered push for education at the executive office level. Pending ESEA reauthorization bills in Congress continue the No Child Left Behind Act's unfortunate legacy of elevating reading and math test scores above all other core academic subjects and above more comprehensive supports for students. The true measure of student success is much more than just a test score and such success requires support well beyond effective instruction. The demands of the 21st century require a new approach to education to fully prepare our nation's youth for college, career, and citizenship. A whole child approach to education enhances learning by addressing each student's social, emotional, physical, and academic needs through the shared contributions of schools, families, communities, and policymakers. A President's Council on the Whole Child would focus attention on the broad array of factors influencing long-term success rather than short-term achievement. The White House has a national security council, a council on environmental quality, a council of economic advisors, a council on women and girls, and a council on jobs and competitiveness. Education is just as important as the economy, the environment, or national security. And the president deserves similarly expert counsel to coordinate the education, health, and social service sectors in support of our nation's youth. A President's Council comprising national leaders, state officials, educators, community members, and other experts would facilitate greater collaboration among the education, social, health, and safety agencies that support children and the coordination of programs at all levels to benefit families. Existing White House advisory councils, like the President's Council on Fitness, Sports, and Nutrition, are too narrowly focused on individual aspects of a child's well-being. The Council could serve to inject the whole child approach into a host of issues in which it has heretofore not been a priority, including Race to the Top competition, school turnaround strategies, and No Child Left Behind waivers and reauthorization proposals. Strategically, a President's Council on the Whole Child is an efficient way to oversee federal investment in children, streamline government bureaucracy, and limit the federal footprint in state and local affairs. It would strategically consolidate and coordinate the range of programs and services for children that have been assembled in an ad hoc fashion over the decades, facilitating greater collaboration among the education, social, health, and safety agencies that support children. And most importantly, a President's Council would focus national attention on children and highlight the importance of supporting the whole child as each child learns and grows and fulfills his or her potential. If you think a child's worth is more than a test score, sign the petition to create a President's Council on the Whole Child. Your signature on the petition sends a message to Washington leaders to focus on what really matters—our children—by asking them to create a President's Council on the Whole Child. If you agree that educators alone can't support students' comprehensive needs, sign the petition to create a President's Council on the Whole Child. Join fellow educators asking the President to support the whole child today. You know the whole child approach to education works; now, tell the President. 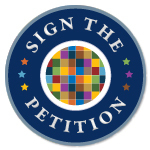 Sign ASCD's petition today. To ensure that each child in each classroom is healthy, safe, engaged, supported, and challenged, we need the support of the President. Ask him to create a council today. You know your child is more than a test score. To send this message to Washington leaders, sign the petition to create a President's Council on the Whole Child. Sign the petition to create a President's Council on the Whole Child. We have 30 days to gather 25,000 signatures and then the White House will take the proposal into consideration. Please ask everyone you know who cares about children and the future of education to visit the petition and sign!